Born Oct. 18, 1928, in Rochester, N.Y., James F. VanWyckhouse was educated in public schools there, then studied engineering at Rochester Institute of Technology. He was admitted to membership in the Society Jan. 11, 1960. VanWyckhouse began his rotary-wing aircraft career with Bell as a design engineer in 1953 and was promoted to project engineer of UH-1 Deicing Programs in 1959. In 1963 he became project engineer on USA-AVLABS High-Performance Helicopter Program and also managed the Full-Scale Rotor Wing Tunnel Program. Several of his papers on rotor deicing and high-speed rotor performance were presented at AHS National Forums. 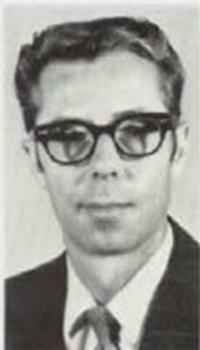 In 1968, James F. VaWyckhouse, was promoted to manager-Contract Research, and in 1971 to the post - Manager - Research Administration for Bell Helicopter Co. His responsibilities included all contracted and company R&D programs. He was Treasurer of the AHS South-west Region since 1970. He died April 24, 1973.